We expanded our ability to educate children with autism with an additional school building for Cypress School. We now have two campuses in Petaluma: Cypress Primary School and Cypress Secondary School. We earned a prestigious three-year CARF (Commission on the Accreditation of Rehabilitation Facilities) accreditation in which our organization was evaluated on our conformance to over a thousand standards of excellence. We completed a build-out of WineBev Services’ location in Napa, growing our ability to meet the demands of the wine industry while providing even more employment to people with disabilities. We were licensed for a Senior Program in Rohnert Park in April 2014 and hope to be able to open the doors in 2015. We were selected by Cyclepoint - Source America, the nation's new eRecycling network, to be one of the 12 original national partners to develop eWaste recyling in partnership with the federal government. Bike Fleet Loan Program - Our fleet of originally designed hydraulic bikes teach children with disabilities how to ride a two-wheeler and gain life-long self esteem. This year we leased our fleet to four West Coast service providers, enabling them to run their own bike camps. Every day of the year, we focus on our mission and values, as we continue our role as a leading provider of services for children and adults with disabilities in the North Bay. Whether your connection with us is that of a participant, employee, student, family member, donor, volunteer or friend, we couldn't be more grateful for you and hope to get to know you better in the coming year. Contact us if you would like more information about how you can become involved with us this year. Click here for an overview of UCP of the North Bay's Income and Expenses for the Fiscal Year that ended June 30, 2014. Click here to see UCP of the North Bay's 2013-2016 Strategic Plan Overview. 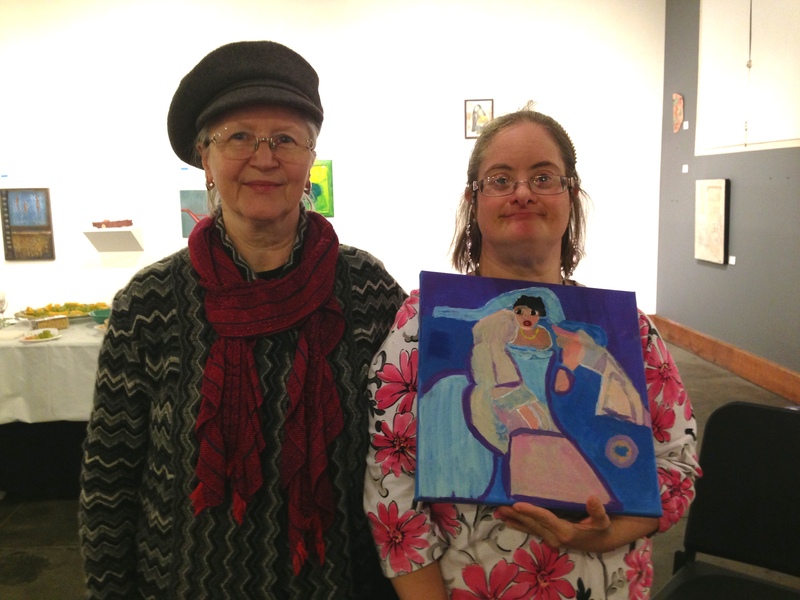 With the intention of "creating community," an exhibition of art from Bay Area artists with ASD and other complex learning differences will be showcased the month of April to honor Autism Awareness Month. 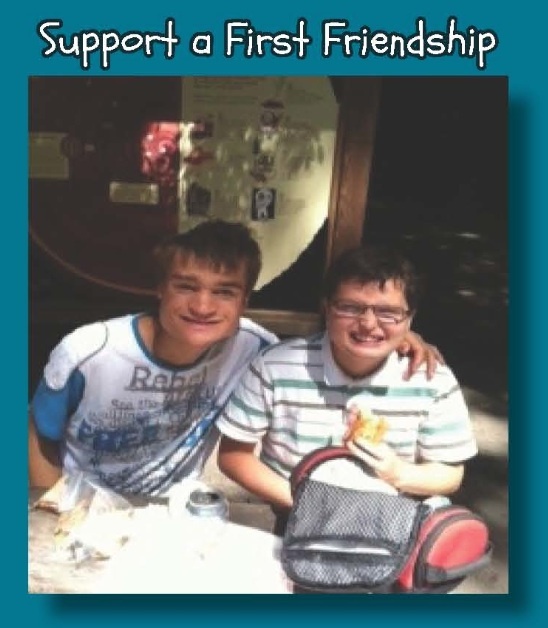 UCP of the North Bay believes that individuals with even the most challenging disabilities have the right to quality education and transition services; integrated employment opportunities with competitive wages and career opportunities; and accessible recreation programs. Our primary services are: Education, Transition Services, Social Enterprise Employment Programs, Supported Employment and Recreation Services, spanning Sonoma, Napa and Solano Counties. Magic of UCP of the North Bay Video. Tickets are still available! 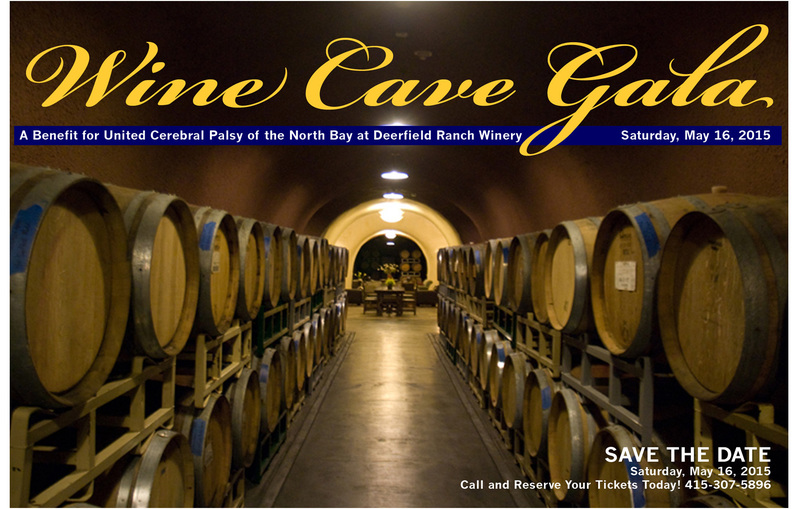 Join us at UCP of the North Bay's annual fundraiser on Saturday, May 16, 2015 at the beautiful Deerfield Ranch Winery. Click here for more information. All proceeds to the Wine Cave Gala go to our Recreation Programs. "Social enterprise businesses provide a cost-effective way to both improve the lives of people who face barriers to work and generate savings for communities and taxpayers." Get a jumpstart on your Spring Cleaning and support UCP of the North Bay! 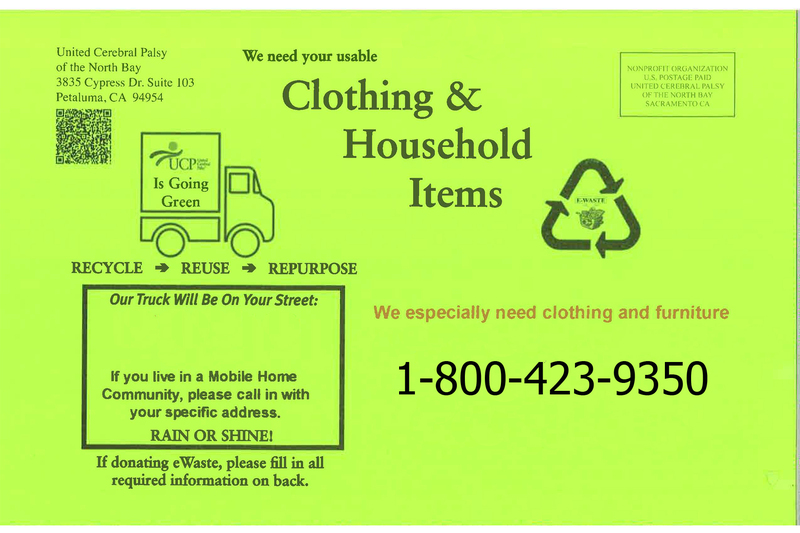 Please call to arrange a pick-up: 1-800-423-9350. Dinner In The Garden, on Saturday, October 11, 2014, at Winter Creek Estate Gardens was a huge success. This wonderful event raised $35,000 for Boost Conductive Education 2015! 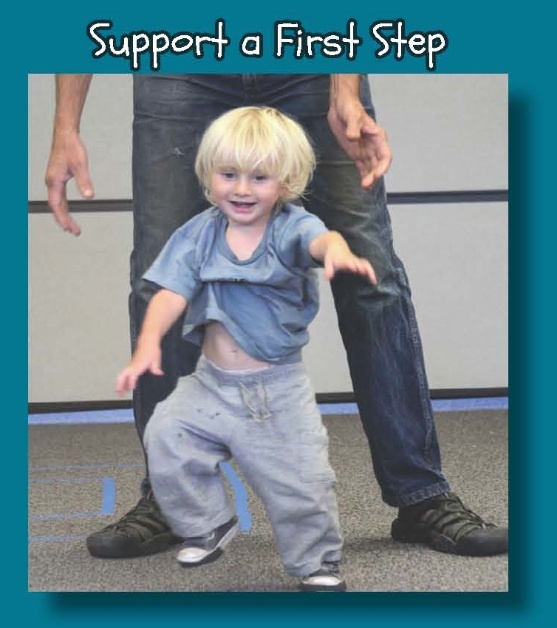 The Boost Conductive Education program teaches children motor skills and trains parents on how to work hands-on with their kids. An extra special thank you to POPS Kids (Peninsula Outreach Programs,www.popskids.org) for matching the funds raised at this event. We know Boost 2015 is going to be our best year yet! Maite is seen in the first picture with one of her fans, now a collector of her work, and her painting of the Virgin of Guadalupe. 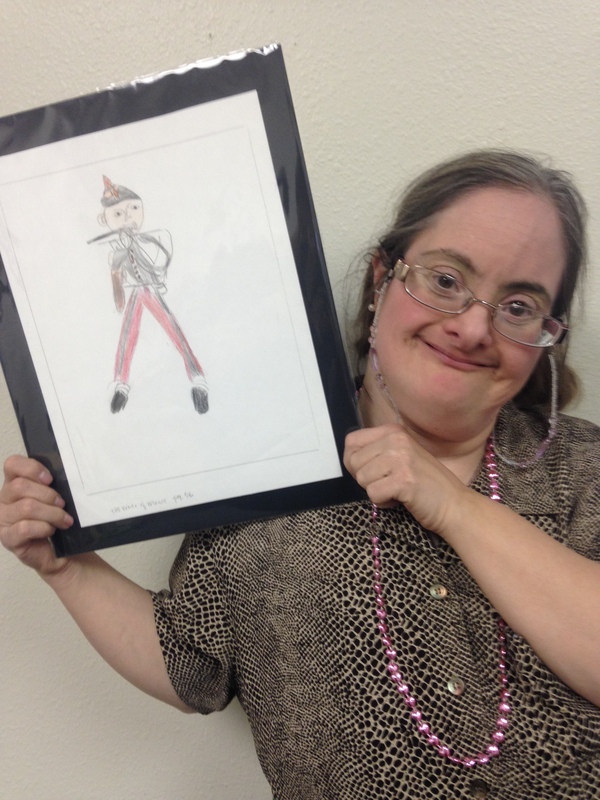 In the second picture, Maite holds up one of her favorite drawings, "The Pied Piper". We honor the life and mourn the loss of a member of the UCP of the North Bay family. On November 5, 2014, Theresa Duff passed away unexpectedly. 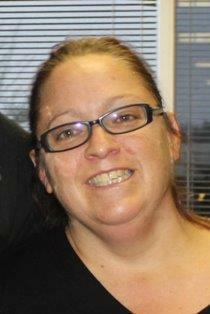 Theresa began working at OADS in 2010 as a group supported employment supervisor at G&G Market in Santa Rosa. Theresa recently transferred to the OADS Social Enterprise in Petaluma, where she developed a passion for teaching art. Theresa leaves behind a loving family and many friends. On November 7, OADS held a memorial for Theresa. Stan Higgins, Executive Director of Oaks of Hebron, volunteered to officiate and led program participants and staff in sharing their memories of their friend and colleague. The OADS team also set up a remembrance altar on which pictures of Theresa and notes about her were shared. The remembrances were placed in a scrapbook and given to Theresa’s family. Theresa’s mother, stepfather and aunt visited OADS the following week and were touched to see the impact she had. We are all grateful to have known and worked alongside Theresa. Her commitment to caring and community inspires us each day. governance and guidance supports who we are. Click here for Board Member Biographies. For a full listing of supporters, please click here. If we inadvertently left you off of our Donor List and are not included here despite having contributed, we apologize! Please email Ann Elias, aelias@ucpnb.org so that we can make the necessary correction. 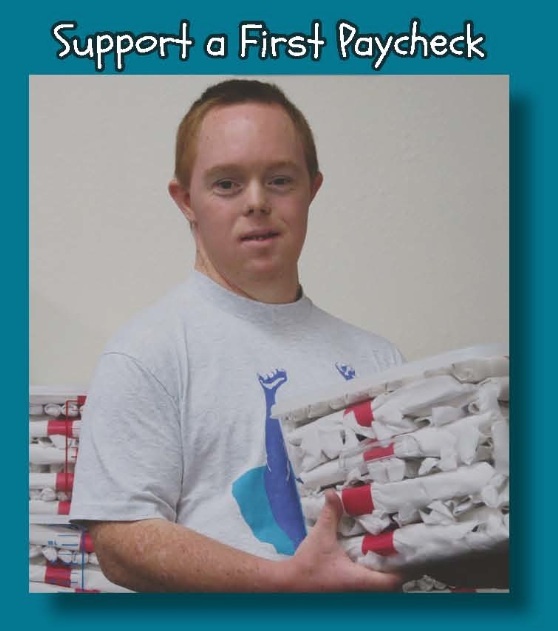 United Cerebral Palsy of the North Bay is recognized by the Internal Revenue Service under Section 501 (c) (3), Identification Number 94-2284940. Your gift is tax deductible up to its full market value.